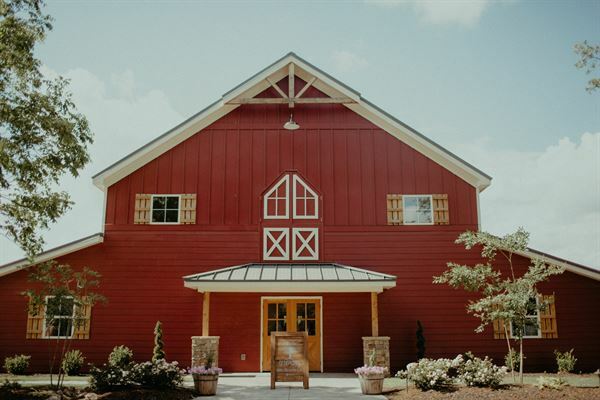 The Pepper Sprout Barn features a barn that was built in 2016 with many unique design elements and a 100 year-old farmhouse that has been completely remodeled into a wedding suite for your day. There are separate areas for the bride and groom and plenty of space to get ready on your wedding day. Our temperature-controlled barn is perfect for all seasons. Using both the main floor and loft, there is plenty of space for you and your guests to celebrate your day. A wrap-around patio, a stone wall, barn doors and a rusted tin ceiling are just a few of the barn’s unique features. The venue sits on six acres of pasture land and is surrounded by hundreds of acres on two sides. The property features beautiful trees, a fire pit, two rope swings; all designed for great picture opportunities. We also have two parking lots for your guests and vendors. Prices are based on number of guests. Discounts are given for weekday events. Pricing does not include food or linens. All packages are based on a 7 hour rental but additional hours can be added. Please contact us for specific details. We offer three different packages to best suit your planning needs. Pricing is based on 150 guests and discounts are available for off-peak seasons. We also offer small wedding packages for weddings between 40 and 75 guests. Please contact us for specific information.